Before we can access your WordPress website to make changes or updates we need a username and password. 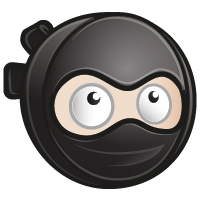 We prefer that you create a new WordPress admin user account specifically for NinjaWP - this leaves your personal WordPress account private, as it should be. Don't worry, creating a new WordPress user account is super simple! Sign-in to your WordPress website using your current username and password. On the left side of the WordPress Admin screen select the Users menu. When the pop-out window opens, click on Add New. A password field will appear with a password already filled in. Ensure that Administrator is selected in the Role menu. Copy and paste the Username you created in step 1 and the Password from step 5 into an email and send it to support@ninjawp.net. Click on the Add New User button - a new user will not be created until you click this button. You can leave Send the new user an email about their account - this will send us an email notifying us about the new account you are creating. Please note: when we receive your email with the username and password we will automatically change the password to ensure the security of your website. We will, under no circumstances, change your username and password unless you specifically ask us to do so. This short video will walk you through the process of creating a new WordPress user account.